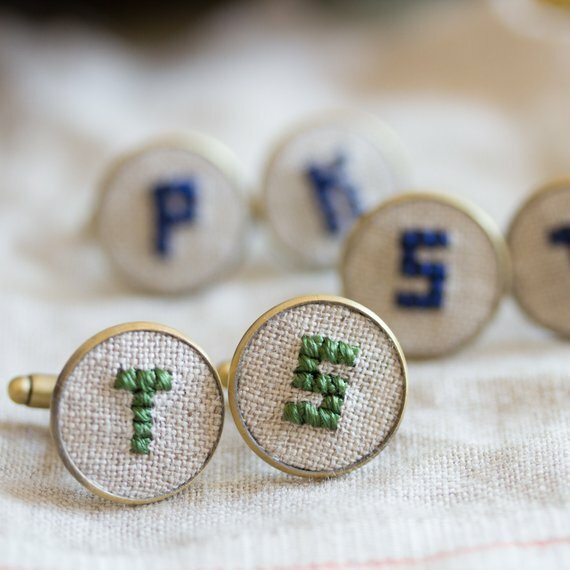 When we spotted these monogrammed cufflinks at Skyrnka, we knew we stumbled on something unique + cool. 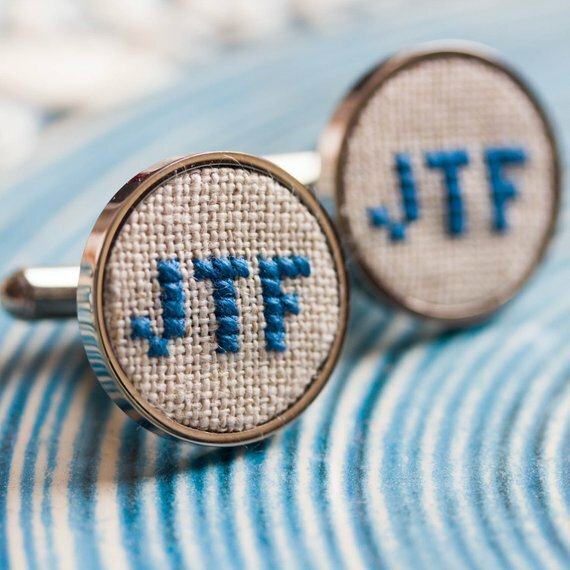 I’m guessing you’ve probably browsed custom cufflinks before, but you’ve never seen hand-stitched / embroidered cuff links, completely customized in your choice of colors. GOOD-TO-KNOW TIP: If you’re wondering what to give as a gift to the groom, cufflinks are one of the top choices. He can wear his cuff links on the wedding day and any special occasion beyond. Some guys love having a collection of cufflinks, while others rely on a favorite pair or two for every formal occasion. If you like the look of these monogrammed cufflinks but want a different color, just ask. One of the best things about handmade finds like these is the ability to personalize it to your liking. Just ask and the designer will be happy to help! Take a look at these monogram cufflinks below! They are the handmade-a-day pick! Choose one letter or a three-letter monogram. 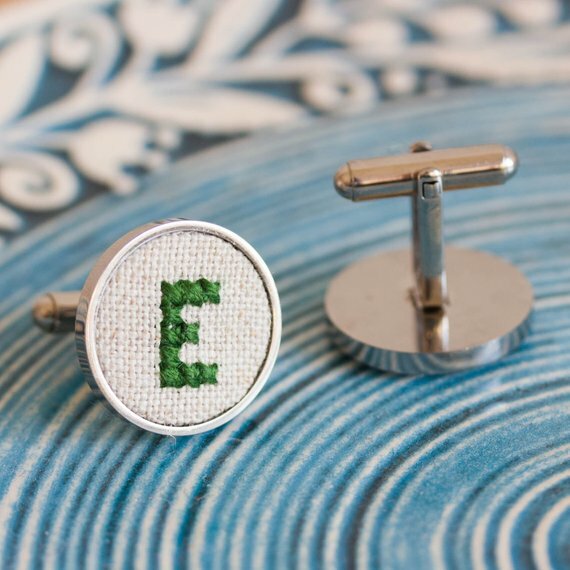 These monogram cufflinks are a personalized accessory for the groom, best man, or groomsman. It is a perfect addition to his wedding day wardrobe. You can get yours in the shop at Skrynka here.